05/31 – Interview with Otto Laske! RLW: Good evening, Otto wonderful to finally meet you, even if it’s across the internet. This is Robin Wood interviewing Otto Laske about his work, and in particular, his deep-thinking framework and all the other manifestations of that work that we’ll be discussing in a minute. But before we start, I’d just like to ask you Otto, briefly tell us a bit about what got you into this space in the first place? What was it that intrigued you about human development? OL: Yes, thank you. First, I want to thank you again for your good questions and the opportunity for me to talk with you and share some thinking. The reason, actually, I got into developmental research was through a personal crisis, when I needed to understand why my marriage was breaking down. Fortunately, at that time I encountered Kegan at Harvard. 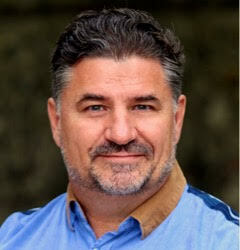 RLW: This is Robert Kegan, the famous Professor of Psychology? OL: Yes, Robert Kegan, one of my teachers. So, I decided to begin studying with him, which I did for seven years. So that’s how it began, but I should say that my interest in developmental research has always been what I call epistemological because I come from the Frankfurt School, having studied with Adorno, Horkheimer and so forth. So, when I got my PhD in Philosophy in 1966, Adorno and Habermas were on my dissertation committee. OL: And this epistemological interest has always stuck with me and so from the start, I approach developmental research asking “What does this research tell us about how people come to know themselves and the world? How do they construct the world? And this interest of mine neatly coincided with the constructivist principle of developmental research. So, I guess I’ve always been somewhat of an outsider in developmental research because I have always pursued that very specific epistemological vantage point without getting lost in empirical ‘data’. RLW: That is fascinating because you may or may not know Professor Frank Land, the world’s first Professor of Information Systems at the London School of Economics and London Business School. He supervised my Doctoral research and was also heavily influenced by the Frankfurt school in his day. RLW: The application of phenomenology, culture theory and critical theory was key in my doctoral research. It was a very interesting combination to be working with and has influenced my thinking until this day. So, it is wonderful to be sharing this rich heritage through your work. RLW: So, we share that legacy, one generation removed! Okay, let’s begin and thanks for that introduction. That’s a very interesting perspective on how you got involved in this. Now I am going to ask you seven questions. We can roam around as we please, and I’ll start with the first one called the Global Problematique. OL: I have the sheet in front of me actually. I printed it out so we can shorten this. OL: So actually Robin, I would suggest, or I would ask your permission for me to start with some very general considerations regarding answering all of your seven questions. OL: Let me start this way. I find myself living in a situation in which everybody is very outer directed and tends to suppress his or her internal dialogue, which I call thinking. There is no technology yet, such as what I call a “dialogically savvy app”, to change that dominant outer-directedness in approaching the real world. That’s the first point: people are unaware of their dialog with themselves, and thus also of their own movements-in-thought. The second point I would make is that language is pervasively considered as a medium of describing the world, while it is really a medium for creating the world. And this misconception is an outflow, I think, of suppressing the internal dialogue because if you suppress the dialogue with yourself, the world outside of you takes on the form of an object that you are removed from and can interpret, manipulate, etc., without taking cognizance of the fact that you are instrumental in constructing it and moreover are an integral part of it and subject to it. In this way, you lose the awareness that when you speak with others, and even yourself, you’re constantly engaged with creating the world you are looking for. This dialectic thus gets totally lost. My third point would be that logic, logical thinking, has become a control system that no longer serves its original Aristotelian goal of clarifying and understanding the real world. And so, we are rather confined by the schemes of control that it offers us. And it is therefore more and more imperative, that we transcend, or learn to transcend, purely logical thinking, for which, I think, each of us has the developmental resources. But we don’t receive any support in developing these resources; our teaching institutions are not set up for that. And so, there is little institutional support for complex thinking, holistic thinking and systemic thinking, dialectical thinking. And where there seems to be such support, as in the integral movement, what you encounter is very flat, purely contextual thinking. That would be my fourth point. And my last point would be that most attempts at transformation that I see being made, especially when they are configured as public events, appear to me as diagnostically impoverished to begin with since they are not based on even an approximate diagnosis of who the recipients are that one is approaching. However, populations are developmentally mixed, making sense and meaning from very different, often mutually incomprehensible, developmental positions. So, if you want to bring about transformations in an universal space lacking any developmental structure whatsoever, you are likely to remain ineffective. As a result, such attempts at transformation are very much at risk of becoming ideological. The risk of failure, e.g., in ‘transformation labs’, is exacerbated by the fact that even ‘developmentally’ schooled transformers do not, as I do in CDF (the Constructive Developmental Framework), distinguish between social-emotional (Kegan) and cognitive adult development (Basseches, Bhaskar, Jaques) and therefore cannot answer, or even ask, questions about the relationship between these two strands of development (which is crucial in my own work). The transformers I have knowledge of all seem to be riding what I call the social-emotional triumphalism train (rooted in Kegan’s work). So, this lack of diagnosis and differentiation is the first set-back in transforming the social world. RLW: I resonate with all of your observations very powerfully. And throughout my career I have had these two sides myself. The interior, the dialogue, which I capture in my writing. I always describe myself as an artist trapped inside the mind of a scientist. RLW: At a young age, which gives you some idea of the world I was living in because it wasn’t possible to really express your dialogue, you were just told that’s just a … It’s like a stream of consciousness. It’s just an unconscious blah, blah, blah right? So, formal thinking is okay, but an associative stream is not unless you are writing poetry. RLW: As a child, one is actually suppressed by society to do it’s will. And so, one keeps this private dialog more or less to oneself until you find someone that you can share it with, that you can trust. RLW: So, it has shaped us I think, as you say, for at least two centuries and probably with the start of industrialization, then globalization then financialization then digitalization, basically we’ve created a system where the wealthiest can own the world and the rest of us are essentially their servants, without voice. I can tell you that making people experience that they are actually “thinking” – something they are not truly aware of when they think ‘logically’ – is very hard work. It is an approach to working with people that E. Schein has called process consultation – understanding people’s mental process in real time. My approach to process consultation has been strictly developmental (not behavioral, as Schein’s has been), and so I have had to draw people’s attention to their own internal dialog by helping them “locate” the thought forms they are using in speaking with me and others. As a result, I find myself listening to people with a focus on what is presently structurally absent from their thinking in terms of thought forms they are not using but could be using — which would bring what they are saying closer to critical realism as Bhaskar would say. And that brings me to still another distinction I would make in thinking: that there is dialogical thinking and there is monological thinking. And in monological thinking, the notion of thinking is something like the process by which you objectify and manipulate what is outside of you. If you adopt a dialogical stance (as I do in DTF), then thinking is seen as realized only in dialog, either with yourself or others, and there simply is no “mind” outside of the dialog you are having. Or else that mind is a total abstraction. So, in concrete situations, all the abstractions – like “society”, “institutions”, “power”, etc. — potentially fall away, and we can just try to understand each other dialogically by what we are saying at this very moment in reference to thought forms. RLW: Now this is what you refer to as the “transformational moment”. In this context I find integral thinking very flat and merely contextual whereas my attempt has always been to introduce a broader notion of thought, which in my career as a teacher, I have found is teachable. You know, it’s not instantaneous, but it is teachable and that’s basically why I’m engaged with it. In our consulting work, Jan De Visch and I are, first of all, listeners to what is being said in a particular moment relative to a proposed issue. And that is a transformational act in the sense that we can engage people by challenging them (also emotionally), to become more explicit about what are saying, what they mean to say, what is absent in what they are saying, and so forth, never jumping off the train of thought they are on, as in structured developmental interview. So, in this way, as described in the review of the book on “Dynamic Collaboration” Eric is publishing in the May issue, we undertake to establish what we call different enabling environments that enable others to become aware of their internal dialogue, thus the way they use concepts, models, theories in the context we meet them in. That is our consulting stance as dialog partners. … I have talked for too long now, you need to come in. RLW: Well I want to link what you just said to a frustration that I’ve had in my own experience with dialogue, which was initially in the early ’90s. I was still doing my doctorate part-time, while I began working with a small consulting firm that facilitated organizational dialogue and learning. And we were lucky enough to be brought into the Shell corporate system to try to help Shell become a learning organization, which was not the easiest thing. But the work of David Bohm and of course, Peter Senge had a strong influence in all the methods and the cognitive science we were using to map the mental models of people with software and show the group a mirror if you like. And then we would let the group mind emerge and have something that could help deal with the issues of power. Now, my frustration after more than a decade in this work at the top level of many global corporations, the World Bank and top executives was that, at the end of the day, we could trigger a momentary shift in the system, it opened up, more and better thinking was happening, some of it was transformational, but at the end of the day, it regressed to the mean in every case after a couple of years or so. Looking back over 28 years now, which is when I began this work, I have a feeling that we didn’t address the issue of power. This may enable us to go directly to the question about structuration theory and the sociological and political applications of your deep thinking framework. Because while structuration theory itself that was developed at the London School of Economics by brilliant people such as Anthony Giddens and others, it is, I think a little static. Yeah? I think you would probably agree on that. And while your deep thinking framework is excitingly dynamic and in the moment, the question is, how do I lock in, as they say in evolution and complexity science, how do I lock in the changes that we make so that they cannot be unraveled by the next Chief Executive, for example? OL: Yes, thank you Robin. I do not myself know structuration theory. But I’m very interested in sociological and political applications of course, as you are. And I have a keen sense of what is an abstraction relative to what is happening in the real world. And of course, as thinkers we use concepts, and so we cannot but use abstractions. So, when I read your text on structuration theory and the focus on power, I think that power is a total abstraction. To start with such an abstraction may not be as effective as reflecting in the moment on the thought form structure of what is being said about power by someone at this very moment. Dialectical thinking, the way I have conceived of it as a dialogical model of communication, is basically an attempt to become aware of abstractions and use a knowledge of the four modes of dialectic, which I will explain shortly, to expand what is presently being said (i.e., how the world is presently being created by a speaker). I follow Roy Baskhar, whom the integral movement claims to have integrated, and that is certainly a false claim that would probably insult him. I’m saying there are four fundamental perspectives in which we can address the real world in striving for critical realism (not Adorno’s critical idealism …) that Roy called Moments of Dialectic. One is context, where we see the world as a static entity that has a certain structure, which we can analyze to the last. Then, there is the process perspective, where we are asking, where does the situation we are in come from? Where is it going? What is dynamically happening to us as we are in this situation? And some of the consulting that is advertised is beginning to go in that direction but not very often. The third perspective has to do with what Baskhar calls relationship, which means not just external relationships between me and you but relationships that are co-defining and constitutive, in the sense that I couldn’t be the person I am (in this moment) without being presently in a relationship to you, and vice versa. So, we are mutually enabling each other and that’s an intrinsic relationship, which is very different from the logical, external relationship that we are familiar with. RLW: Yeah exactly. The network diagram or the business card exchange level of “relationship” at the conference. OL: Yes, indeed. To finish this up, in order to think transformationally I have found – more intensively than even Bhaskar — that you already have to know how to think in terms of context, process and relationship in order to be able to think transformationally – because all transformation happens in a context, is due to processes, and rests on a set of relationships. Logical thinking can only, or barely, think “change”, but not “transformation”; there is a huge difference between the two. Change is just moving something from A to B, whereas transformation is what we constantly experience in our own lives, that when you wake up, you are basically a different person in a world about to begin anew. And while other people don’t know that you are now different, we ourselves know that most of the time. RLW: Can I jump in with a thought. RLW: Something you’ve provoked in my internal dialog. And I think it might be good to just go a little bit into some of the points that I think emerge from this integration of integral, which as you mentioned is a rough integration of Baskhar and of course, Gebser, Wilber, and spiral dynamics to some extent, though the latter is coming from a very different place with its origins in the research of Graves. And the thing that struck me most about your first moment of context, which really hits home hard, is that the real world lacks a unitary cause and is highly stratified. OL: That’s right, and logical thinking is blissfully forgetful of this. RLW: And you know, that really goes to the root of our thinking or lack of thinking … Once one assumes that the real world lacks a unitary cause and is highly stratified, then everything else becomes possible in your dialogical approach. But if you believe that God created the world in seven days 6000 years ago, or that we’re all equal in all respects, then you can’t really move forward into more advanced ways of thinking, right? You’re stuck. OL: Yeah of course. I think this comes down again to a personal stance one is taking vis a vis the real world. Let me give you a short example. I have a bee hive in my garden. And if I look at it from the four dimensions I was just outlining – context, C; process, P; relationship, R; and transformation, T –, that beehive is a very different thing in terms of these different moments of dialectic. If I look at the bee hive in terms of context, I only see a wooden box with a metal cover and inside the box a set of ten wooden frames ready for the bees to work with. If I proceed to the process perspective, I suddenly become aware that there are living beings inside and that the hive really is not a box but a living organism. I then make distinctions between the queen, the worker bees, the drones and so forth. And I’m beginning to ask, “At what stage of its development over the year is this bee hive presently?” I can look into the box to see where they are developmentally. If I proceed to the relationship perspectives, the bee hive again becomes a very different thing because now I am led to thinking about how is the hive related to its environment externally, how are the different populations inside related to each other and to the queen? And I can do all this thinking at the same time (the mind is very fast …), meaning I can approach the bee hive – or anything else — as a context, a process, a set of relationships, and then I can begin to grasp what it means that it’s transforming from February where it contains maybe 5000 bees to July where it contains 30,000 or more bees, and to the fall where again, it goes back to a lower strength. Now, what I’m trying to teach people as I’m consulting to is that they have the resources to adopt these four very different dimensions and put them together to become transformational thinkers. RLW: So, we were talking about a power, and we got onto the subject of these transformational moments, and the four kinds of thinking that lead to transformational moments. And so, we then went on to Bhaskar and his point about the fact that the real world lacks a unitary cause and is highly stratified and thinking errs if we make it centric and flat. So, let’s assume that we’ve de-centered the world, and that it’s emergent, and, as you say quite rightly, so much of it is unconscious. Our conscious mind is barely able to hold this tiny little string of dialogue that we can hear right now. Something like a string of 56 bits of information, or 7+/-2 items in a list as per Miller’s Law. So, it’s very strange how we hear that inner dialog at all, and how we are even able to listen to ourselves. OL: So right now, were you asking me about second edge? OL: Yeah, that is a term that Roy Bhaskar is using for thinking in terms of process. RLW: So yes, we were going from the first moment of context to the second edge of process, where, as I was saying, I wanted to basically touch on a question that comes towards the end, which is really around how we map this to the work of Kegan, Torbert and others. Because it seems to me that, for example, in using Torbert’s language which relates, I think, directly to Kegan as well, he talks about the expert achievers who are basically 2/3’s of the management of the big organizations on the planet. And the expert achievers seem to me, to be stuck in context thinking with a bit of process thinking. When we were talking about the four thought forms; context, process, relationship, transformation, it seemed to me that there was a parallel with the developmental stages. Am I right in thinking that? OL: Yeah, thank you, that nexus has been important to me from the start, ever since in 1999 I put Kegan’s and Basseches’ work together. Let me say this. One of the fundamental errors in my view, or setbacks, let’s say, in developmental research since the ’90’s has been the neglect of distinguishing between what I call social-emotional (referring to Kegan’s work), and cognitive (referring to Basseches’ work). Which has led to either separating them entirely or reducing one to the other, with the result that questions about their relationship simply disappeared and to this day form a total no-man’s land, a loss for all, especially organizations. OL: When I studied at Harvard in the middle 1990s, the link between Basseches’ and Kegan’s work could not escape me, although nobody else took note of it (it seemed to me already then). For me, relating these two bodies of work while keeping them separate at the same time – the crux of dialectic — made me see two different but interlinked developmental strands emerge, and became a turning point of my social-science work that I first articulated in a 1999 dissertation on executive coaching. OL: And this distinction has strangely never been made outside of my own work. To emphasize the distinction as well as relationship between these two bodies of work, I introduced the term sense making versus meaning making. By meaning making, I refer to Kegan, while sense making I refer to Michael Basseches, but also Elliot Jacques and Roy Bhaskar, in my own work. So, here’s the issue. If you focus on only one of these two intrinsically related developmental dimensions (there is only one consciousness …), not seeing between them a relationship, or if you reduce one to the other (as Kegan tends to do when he calls his work as ‘cognitive’), then you miss the very important point that, while in praxis you cannot push anybody onto his or her next Kegan level, you can indeed teach people to take a step forward in their cognitive development. 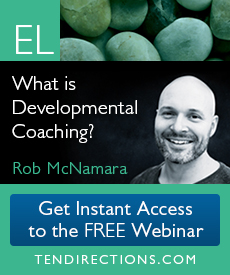 Which means that while social-emotional development is closed to learning, cognitive development is not, and that makes a huge, huge difference not only in consulting but also in teaching and mentoring/coaching. And you also miss the point that cognitive development indirectly influences social-emotional development (in a way still quite unknown), but not the other way around. OL: Also, Kegan’s theory and the whole social-emotional universe does not really provide us with any tools to develop people, not to speak of ‘transforming’ them. That splendid theory is a strictly diagnostic tool, and unfortunately also a way to build an entire ideology from. And the unfortunate thing, in my view, is that the social-emotional thinking of “developmentally trained” consultants has by now suppressed the cognitive training that people urgently need, both individually and in organizations, and so I have come to speak of the whole integral movement as being on a “social emotional triumphalism train”, to follow what Bhaskar said about logical and idealistic thinking. RLW: My critique has been this statement that it takes five years to go from one developmental stage to another as if there’s some kind of holy grail that you are aiming at. I call it altitude sickness when you get to the integral or the second tier and suddenly you’ve “made it”. It’s a triumphal arrival of the enlightened. And I’m very delighted to hear you say that because my own experience has been that my own cognitive development has always pulled the rest of me forward and helped pull other people forward, well before I was even emotionally or socially able to even comprehend what I was doing. Really. OL: I have a suggestion Robin. I made some extensive notes in preparation for this interview. And I’m quite willing to share the notes with you because I think it may clarify some of the things we have said, and we have not yet been able to speak about. And so in the remaining 10 minutes what do you think you would want to focus on? RLW: Well, in a sense, my own couple of burning questions. RLW: Well, let’s begin with one of them, and let’s call it a hobby horse. I don’t know why, but I find parts of the Teal organization movement, slightly naïve and a little irritating in their hyped-up claims and over-simplification of what are much deeper and more complex issues that need to be carefully considered when exploring the world of organisations, especially at a developmental level. This is as much to do with the simplistic application of Fred Laloux’s research by many, as it is to do with some of the conclusions he jumps to from a very small sample of firms. I believe this movement is over-generalizing and over-simplifying a complex, evolving field that requires many more dimensions to understand and operate in, than their model recognises. From the evidence I have been gathering, I believe this may cause a degree of confusion and even harm where developmental considerations are over-ridden, especially in technologies like Holacracy. RLW: Have you read, “Reinventing Organizations” by Fred Laloux? Or heard of it? Therefore, in our book on teams, we distinguish six different types of teams or circles which reside within 3 very different We-Spaces, — of continuous improvement (the developmentally lowest), of realigning value streams and operational functions (the next up), and of transforming entire business models (the developmentally highest). Within each of these developmentally different mental spaces, we find 2 very differently configured teams, one of which we call ‘downwardly divided’, the other ‘upwardly divided’. This difference is a developmental one. It refers to how a developmentally divided team (comprising different developmental levels) is structurally composed of a majority and minority that differ in terms of adult maturity. Take, for instance, the case where a developmentally advanced team minority is held up and sabotaged by a developmentally less mature team majority which has a great deal of power, — that’s we call a downwardly divided team. OL: We think of this work as establishing an “enabling environment” which is different from a learning environment since participants have to do more than take in something new; they have to go to the root of what enables them to take in something new, and we have to enable that for them by calling out the thought forms they are using and could be using – which is also an emotional process. An enabling environment is thus an environment in which we enable people to become aware of their own thought-form structure as it shows up in their thinking and speaking. That’s the entry point. I welcome your questions. RLW: It was quite enlightened, you know, from an organizational perspective. And I’m thinking of that call center that you and Jan describe in your book and the article. And I’m thinking how do you do this in the workplace? Because you have to create a safe space for people to open up, and if they feel pressurized by their task, you know the task house of things, then the self-house side of things will suffer. Because inevitably somebody, somewhere at the top will demand, we have to get back to work, we gotta create performance. How do you create that safe space for this to happen? OL: Yeah, thank you. I think that question touches upon the distinction we make following Kegan-Lahey between job one and job two. Job one is the task to be tackled and job two is every person’s developmental agenda and integrity attached to that. And the two are inseparable. And I think we owe it to Kegan & Lahey that they have made that evident on purely social-emotional grounds, not only for deliberately developmental organizations, but for any organization. In the new organizational world we live in you will fail if you don’t take this coupling between job one and job two into account. Whenever job two, e.g., my fear that I may not measure up; the sense that I don’t have the resources to do this task successfully — everything that concerns my own stance at work, when that overtakes my assigned task, job one, I am not effective any longer. And so, an enabling environment really has the main task to make sure that never happens. Now, this consideration that job one and job two are inseparable also helps us create what you were just asking about, namely an atmosphere in which personal issues at work can be aired in a trustful and sharing way. Because if you open up people’s internal dialog – which is emotional, of course, but has a discernable thought form structure associated with it –; when you give them a chance to discern their own movements-in-thought that shape their emotions and make them see the distinction between their self and their role (as Elliot Jacques has taught us to do), then their behavior will evolve in a direction in which you can help them sort out what is an obstacle to them in their present work or, for a senior manager, in the teams s(he) is leading. So we find that the pronounced cognitive entry we make into people’s inner dialog creates an access road to strengthening trust, something that a ‘touchy-feely’ approach fails to do. We are relying on the fact that the social-emotional and cognitive lines of development are inextricably interwoven (which you can’t make use of if you deny or reduce one or the other …). I don’t know how closely I’ve answered your question. RLW: So, what I’m visualizing is a kind of Ed Schein process consulting. RLW: With a workshop where you, somehow, there’s a bit of a diagnosis beforehand of where people are at cognitively, socially emotionally as well as psychologically. RLW: And then, this is shared with them individually obviously. RLW: But then how do you bring that learning into the group space? OL: And, of course, nothing is said in an openly critical but in a pedagogically helpful way. And it’s an art as well as a science that is informed by dialectical thinking and knowledge of thought forms. Because we can identify in what way a speaker has confined him- or herself by what s(he) has been saying by using a particular thought form or constellation of thought forms, and what it would be like to expand the movement-in-thought that s(he) was using, so that if s(he) is a team member, the team could move beyond the present state of affairs. So, by way of mastering CDF (in programs I am still teaching at IDM), one is provided with a set of operational tools, namely DTF thought forms, that one can use to break up emotional as well as cognitive stalemates in teams. It’s all about capturing and acting upon ‘movements-in-thought’ that are both emotional and cognitive at the same time, and about addressing emotional issues cognitively by way of thought forms. RLW: Ah yes. I was going to say because in your article you talk about stance, tools, and experiences. OL: Yes. What cognitive tools somebody chooses is influenced (but not determined) by his or her social-emotional stance (‘stage’), and stance and tools together are in constant feedback so that they create personal experiences which, in turn, update stance and tools. RLW: And so, stance guides your use of the tools to organize your thinking and understand the world. So presumably these tools can be psycho-active in use. RLW: And in operation. How do you maintain this conjunction between the task and the self; job one and job two, on an ongoing basis? How can management, or the people themselves, keep that rolling and working? OL: You can say, for instance, things like, “From what you say, it seems you’re looking at the situation you’re describing in a quite static way. What would happen if we introduced a process perspective on this, asking where does this situation come from? Where could it lead? What are the options that may open up for you if you consider that X and Y are deeply related?” And so we are trying to always point people to their own inner dialogue with themselves by way of the concepts they are using, … in order to point to a large number of alternative concepts that might capture the situation, goal, or process with a larger dose of critical realism, to speak with Bhaskar. RLW: What might be needed in this situation. OL: Yes. We are modeling what we are seeing as a more complex thinking than what we are witnessing. We have found that people are enthusiastic when they discover that they are actually thinking, following their movements-in-thought. (It also esteems them.) Because initially they don’t know they’re actually thinking. They feel they are just describing, reporting, outlining, proposing since they are fixated on specific contents, and that fixation wipes out their paying attention to the structure of their talking about these contents. They may never have felt a real emotional rush about the fact that they can actually think for themselves outside of the many models they have absorbed that they are pushing around like mental furniture. RLW: Mm-hmm (affirmative). That’s a very exciting moment, and I wonder: do you follow up with some of the teams and some of the organizations to see how they manage, say a year later or two years later? OL: My colleague Jan De Visch who has close connections with numerous companies certainly does. He is working with them over a period of time, and if you do such long-time work you develop a good grasp of how effective you are being. OL: So, let me thank you for your effort to have us converse which we have struggled a little bit to do on account of the technology we had to deal with (speaking of Microsoft power over Zoom …). OL: Yes. I agree with you Robin. I hope we have further exchanges and I welcome the opportunity you’ve given me. Be in touch. Feel free to be in touch. And thank you very much for your effort and your work now. RLW: Thank you very much to you too, Otto, for your time and your wonderful insights. OL: Have a good evening. In one hour, and due to glitches on the Zoom call, we were not able to cover every single one of the 7 questions in depth. Otto very kindly offered to share the detailed notes he made in preparation of answering the 7 questions. Here they are! RLW: We’ve now seen a couple of centuries of the solidification of industrialisation, globalisation, financialisation and digitalisation taking apart and “owning” the world. The overly intellectual deconstruction of the post-modernists has left this edifice largely untouched. You’ve made it clear that you wish your work to address the global challenges we face today. What can we do to mainstream this kind of thinking [CDF thinking] into the networks of INGO’s, global leaders and organisational leaders more effectively? Or is the global system too rigid, and beholden to vested interests, for transformation to be realised in this arena? We live in an outer-directed world that tends to suppress the internal dialog we hold with ourselves that could be called “thinking”; there is no technology yet, such as “dialogically savvy apps” to change this situation; educational institutions – for all their technological sophistication – have so far failed to take on this issue due to the demise of “liberal studies”. Language is pervasively considered a medium for describing the world while it is really a medium for creating world. This misconception is an outflow of suppressing internal dialog. Logic has become a control system that no longer serves its original Aristotelian goal of clarifying and understanding the real world; this even holds for systems thinking although S.T. could be a step toward dialectical “transformational” thinking. There is presently no institutional support for the needed self-reflection and self-organization except in work in enlightened organizations and teaching institutions waiting to be created. Most attempts at transformation, the more so the more they are configured as public events, are diagnostically impoverished to begin with since they are not based on a diagnosis of audience groups as developmentally mixed and forming circles at different levels of complexity of thinking. As with teams, these circles may not be in tune with each other, and thus may obstruct each other even in their surface enthusiasm. Beyond shallow surface effects, such attempts lack the critical realism bestowed on thinking by engaging with the four moments of dialectic in the sense of R. Bhaskar. Illumination must precede remediation, and remediation is not about new messages or contents but about self-reflection and self-organization of humans as speaking animals obliged to compose their own world and remaining unaware of doing so. It seems to me that the “integral movement” has stopped moving in many respects, riven by inter-personal feuds and jockeying for position that characterise contextual fixed structures rather than dynamics of transformation. Where do you see the acupuncture points to shift this situation and unjam the logjam? Also, from your perspective, where does “second-tier” thinking begin? The individualists, strategists and alchemists (using Torbert’s language for “green, yellow/teal, turquoise”) seem to be moving beyond context and process of blue/orange (the “diplomats and experts-achievers”) into the mysteries of relationships and then in flex flow and global view, genuinely thinking, even if mainly in theory, more transformatively. How would you map this to your four thought forms and moment of transformation? OL: The term ‘integral’ has been misapplied and is exhausted. This shows in the conception of consciousness now adhered to which either lacks a cognitive dimension or is reduced to it. The term ‘integral’ has sanctioned one-sided approaches that proclaim to be holistic and systemic but in their thought form structure show none of the features of complex thinking; they are pre-hegelian if not pre-kantian. The truly cognitive, dialectical dimension has been overwhelmed by the psychological, the social-emotional, and the so-called spiritual. The integral movement is still on what I call a “social-emotional triumphalism train” rooted in Kegan’s work, with almost total neglect of the dialectical thinking Roy Bhaskar has renewed in work that the integral movement claims to have “integrated”. ‘Movements’ by themselves are ideologies and not a fertile ground for untrammeled thinking. They follow ‘models’ which are always abstractions and rarely seen in a critical historical perspective. The entire ‘developmental’ movement is a child of its time and many of the exciting epistemological new vistas developmental research has been offering have remained unseen or have been disregarded. In terms of Bhaskar’s work, one has jumped prematurely from clarification (illumination) to remediation, jumping into Bhaskar’s ARA without ever having absorbed MELD (i.e., dialectical thinking). RLW: Where do you see the acupuncture points to shift this situation and unjam the logjam? Re-routing and re-fitting of (pre-existing) operational and procedural – and thus also value – streams, not only in organizations but in individual life, institutional life, and organizational life. Transformation not only of business models, but of life agendas, team agendas, designs for future living, and national and global policies. For the first, logical thinking may suffice, but already for the second systems thinking is needed, and the third We-Space collapses without dialectical thinking. Bhaskar speaks of four degrees of critical realism: CPRèT. Members of the lowest We-Space can only think in terms of C, context thought forms, while members of the next higher one begin to be open to using P and perhaps R thought forms. But even in the highest We-Space were business model transformation is topical, often team members are clueless as to transformational thought forms, T). All of the initiatives you mention (e.g., Torbert) are located in strictly logical thinking and thus, by default, in the continuous improvement world, and therefore ensconced in purely contextual (static) thinking leaving out of the account 3 of 4 moments of dialectic, to speak with Bhaskar. For each of these different We-Spaces to thrive, different ‘enabling environments’ needs to be fostered, and this a matter both of research and transformational practice. RLW: I’ve also enjoyed the contributions of your collaborator Jan de Visch in Belgium. He is clearly succeeding in applying your transformational approach in business, especially in innovation and entrepreneurship. What have you got planned for “transformation labs” in the future? OL: In our consulting, both Jan and I are attempting to create enabling environments for teams and groups in each of the different We-Spaces. Enabling self-organization and self-management cannot be achieved in an universal space, without an analysis of what level of complexity of thinking and acting a group, team, or circle is presently capable of. To do this takes diagnostic abilities nurtured by the Dialectical Thought Framework that are largely absent from present ‘transformation labs’ as well as consulting (of whatever persuasion). I would doubt the aptness of the term ‘transformation lab’ itself since we can only speak of ENABLING [rather than transforming], given that effective ‘helping’ depends on the helpee’s ability to self-organize (as Schein has shown us). Therefore, Jan and I are never “teaching” or even “consulting” in some universal space; instead, we work from a diagnosis of specific client situations, and guided by client experiences. “Labs” that are not geared to specific issues commensurate with the We-Space in which they are taught are unable to establish effective “enabling environments” (which enable attention to participants’ inner dialog, both by themselves and the consultant). Zone 4: those that even with massive help cannot transform. “Wholeness – In an Evolutionary Teal organisation people bring their whole self to work. In many businesses today, the people who work in them bring a version of themselves to work — their professional self. Leaving at home their own aspirations, ideas, creativity and many other things that make them a complete person. Self-management- There is no hierarchy or management in an Evolutionary Teal organisation. Groups of people organise and manage themselves in the way that best suits the business. The underlying belief that people can be trusted to work towards a common goal is hugely attractive. That’s who I am!! If someone has an idea, they can make it happen. There is no approval process. There is individual responsibility and consultation with others who are affected. Just imagine the potential this unlocks. The results achieved by the organisations featured in the book demonstrate that it works while delivering amazing outcomes. Like you, I admire Elliot Jacques’ work, and see the need for requisite natural hierarchies, especially given the cognitive, affective and thinking dimensions of human development. Could you comment on this? OL: There is presently no cogent definition of self-management and self-organization, and so the field is wide open to ideological treatment. The assumption made in Jan’s and my book is based on extant developmental research that says “each individual constructs his/her own world both social-emotionally (ED) and cognitively (CD) and lives in his/her own psychological bubble; therefore, self-organization may be seen as inseparable from level of adult development (both CD/ED, whose relationship has remained unresearched), so that self-organization in teams depends on the developmental composition of a team in terms where its majority and minority are developmentally. We distinguish 6 types of teams, 2 each in each of the three We-Spaces, which we scrutinize as to being either “downwardly” or “upwardly” divided. A developmentally downwardly divided team is one whose majority is/remains unable to integrate a less developed, but in terms of power or influence stronger, minority to arrive at a shared agenda, and that causes reductions in the complexity of the team’s agenda, its awareness of the larger whole it is part of, and so forth. In a developmental perspective, ‘self management’ is an ideological term. The term disregards that once natural hierarchies fall, organizational contributors are weakened in their own self-organization, the more so the more they are developmentally immature. Enabling Environments are needed to repair this situation. This issue can be detailed using Kegan’s terms of Job1 and Job 2, where Job 1 is the task to be tackled (the work to be done in a Role), and Job2 is the inseparable developmental agenda of the person doing the work (as a Self). Wherever the concern for one’s own developmental integrity and agenda, Job2, overwhelms Job 1, a team is entering into a downward spiral (as happens in many outwardly ‘agile’ teams …). What I said about ‘self-management’ above also holds for an ETO (evolutionary teal organization). In short, establishing enabling environments for different We-Spaces must honor/recognize the natural hierarchies that exist and simultaneously diagnose what zones of proximal development are present within a group, team, or circle. And this is difficult without thinking holistically and critically, schooled in something like CDF which focuses on the intersections of the ED, CD, and psychological dimensions of consciousness. Structuration Theory and Sociological/Political Applications- How to Apply DTF? RLW: I am a great fan of the work done at the LSE by Anthony Giddens and others in the past 40 years, taking the Frankfurt School into the world of economics and the social sciences in particular. I know Structuration Theory has its many critics, and I for one agree it is too static in nature. Yet, for me it does emphasise the need to explore and acknowledge power relations, and the role of language in institutionalisation and cementing in power “over” rather than power “with”. How would you tackle this challenge from the perspective of DTF? Where do power, language and speech acts life in DTF? OL: (I am not familiar with ST.) While nobody can be pushed to a higher Kegan-level, people show different degrees of potential to learn to become aware of the thought forms they use in their dialog with themselves and their communication with others. This seems to indicate that awareness of how one uses language, — mostly absent in a monological and logical culture –, is a crucial piece to consider in social and political situations (something stressed by Russ Volckmann). In fact, DTF dialectic, in contrast to Adorno as well as Bhaskar and Jaques, is DIALOGICAL, that is geared to individuals’ awareness of their movements in thought in real time. This means that in DTF “mind” is seen as “alive” only in the real-time process of dialog with oneself and others, and as an abstraction outside of this process. In short, rather than beginning with reflections on “power” – a total abstraction – it would be better to become aware of the thought form structure of one’s own speaking right now, in real time, both to oneself and others, and work from there. 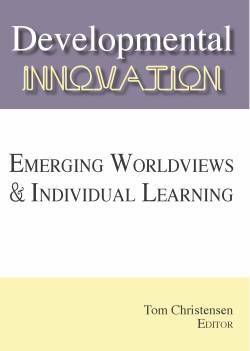 RLW: From what I understand of your work, your focus, like that of Robert Kegan, Suzanne Cooke-Greuter, Bill Torbert and others, has rightly focused on individual cognition and development. It seems to me that in order to transform our overly logical/analytical global system effectively, we will need to embed a certain level of collective intelligence in the transformation process itself. How would you see this unfolding from your perspective? OL: “Collective Intelligence” is an interesting term but it seems that at present it is only a buzzword, just like “self-organization” and “self-management”. In our book, we base the discussion of collective Intelligence on the assumption that it is an extension into society (or larger groups) of a team’s collaborative intelligence which we see anchored in individual team members’ self-organization (thus developmental profile). For instance, we view Facebook communities as downwardly divided teams within the lowest We-Space, that of continuous improvement, and thus as potentially self-delusional (although sometimes politically effective but often with disastrous consequences). I am therefore not sure what it would mean, as you say, “to embed a certain level of collective intelligence in the transformation process itself”. I would think that collective intelligence is a developmental achievement that cannot be presumed to exist outside of teams that have shown themselves capable of collaborative intelligence since collective intelligence is an extension of a team’s collaborative intelligence. RLW: You are not only a psychologist, but also a composer, musician and artist. How has your own creative process informed your psychological and philosophical thinking? OL: In my understanding, my own creative work in music, poetry, and the visual arts is based on internal dialog made manifest in a specific artistic medium represented to me via a computer screen. Whether I have designed digital orchestras or prose poems or digital paintings, graphics, or animations, I have made use of the real-time feedback loop between a knowledge base embodied in software and my own living consciousness, so that software (‘the computer’) has appeared to me as an Alter Ego with which I am in an ongoing dialog. Through my teaching at the Interdevelopmental Institute, I have developed a second form of dialog which is rooted in developmental interviewing (both cognitive and social-emotional) and very influenced by E. Schein’s notion of “helping” as based on understanding others’ mental – both social-emotional and cognitive – process. I engage with others based on my own internal dialog as a listener in which I (comparable to a psychotherapist) intuit where my interlocutor’s emotional and cognitive absences are – that which is not thought, left out, insufficiently illuminated, suppressed, etc. This “therapeutic/diagnostic” dialog is strongly rooted in the internal dialog I use in art making, only that my “composer’s Alter Ego” is replaced by what I construct as my client(s)’ present developmental and cognitive positioning. 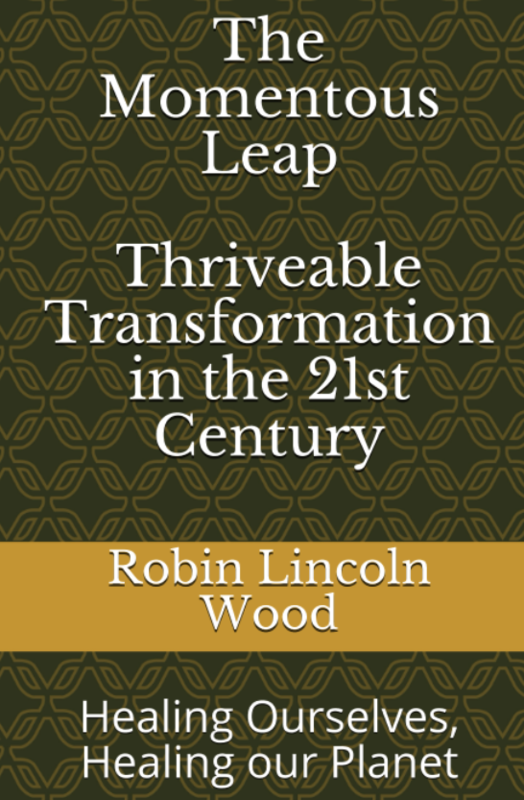 Dr Robin Wood advises leaders and organisations world-wide on designing and delivering thriveable strategies. Over 4 decades he has worked with hundreds of Global 1000 clients and also created several commercial and socially innovative startups. He advises the Thriveable Investment Fund and focuses on developing leaders and boards capable of delivering thriving futures. He is the author of eight books, dozens of articles, and has won many awards for his writing and speaking. Otto Laske is a social scientist and epistemologist grounded in work of the Frankfurt School (Adorno & Horkheimer) but equally linked to that of Nicolai Hartman, Bruno Liebrucks, and Roy Bhaskar. In 2000, he founded the Interdevelopmental Institute (IDM) for teaching his Constructive Developmental Framework (CDF), a synthesis of adult-developmental research from 1975 to 1995, whose cognitive component is DTF, the Dialectical Thought Form Framework (1998-2000). 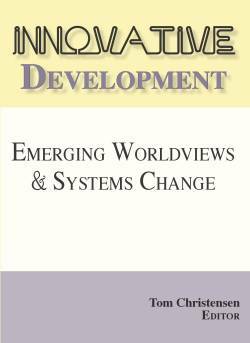 His developmental and organizational work is based on dialectic as a real-time dialogical discipline. In his work he is influenced by Adorno, Bhaskar, Hegel, Horkheimer, Jaques, Marx, and Sartre, fruitfully combining philosophical thought with empirical assessment and research in the cognitive and social-emotional development of adults. 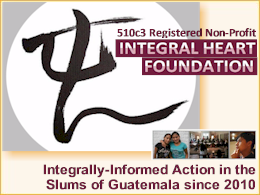 He can be reached at the Interdevelopmental Institute (IDM) by writing to otto@interdevelopmentals.org, or by calling 978 879 4882 (Gloucester, MA, USA). His artistic work is found at www.ottolaske.com and at https://www.saatchiart.com/account/collection/888704 . His new book with Jan De Visch can be found at https://connecttransform.be/dynamic-collaboration/. Thanks Robin Lincoln Wood and Otto Laske for this excellent interview. You both made my day.